William E. Ames. “The National Intelligencer: Washington’s Leading Political Newspaper.” Records of the Columbia Historical Society, Vol. 66/68, (1966/1968), pp. 71-83. William E. Ames. “Samuel Harrison Smith founds the National Intelligencer.” Journalism Quarterly 42 (3) Summer 1965, 389-396. William E. Ames and S. Dean Olson. “Washington’s political press and the election of 1824.” Journalism Quarterly 40 (3) Summer 1963, 342-350. Clarence S. Brigham. History and bibliography of American newspapers, 1690-1820. Worcester, Ma, American Antiquarian Society, 1947. George Rothwell Brown. Washington, a Not Too Serious History. Norman publishing Company, 1930. Wilhelmus Bogart Bryan. A History of the National Capital from its Foundation through the Period of the Adoption of the Organic Act Vol. I, 1790-1814. New York, Macmillan, 1914. Harvey W. Crew, William B. Webb, and John Wooldridge. Centennial History of the City of Washington D.C. Dayton, Ohio, United Brethren Publishing House, 1892. Fred A. Emery. “Washington Newspapers.” Records of the Columbia Historical Society. Vol. 37/38 (1937), p. 41-72. Erik McKinley Eriksson. “President Jackson’s Propaganda Agencies.” Pacific Historical Review, Vol. 6, No. 1 (Mar., 1937), pp. 47-57. Eriksson, Erik McKinley. “The establishment and rise of the Washington Globe : a phase of Jacksonian Politics.” MA (Master of Arts) thesis, State University of Iowa, 1921. Cassandra Good and Margaret Bayard Smith. “A Transcript of My Heart”: The Unpublished Diaries of Margaret Bayard Smith. Washington History, Vol. 17, No. 1 (Fall/Winter, 2005), pp. 66-82. Winifred Gregory (ed.) American newspapers 1821-1936. New York, Bibliographical Society of America, 1937. Samuel H. Kauffmann. “The Evening Star” (1852-1952): A century at the nation’s capital. New York, Newcomen Society, 1952. Mel Laracey. “The Presidential Newspaper as an Engine of Early American Political Development: The Case of Thomas Jefferson and the Election of 1800.” Rhetoric and Public Affairs, Vol. 11, No. 1 (Spring 2008), pp. 7-46. F.B. Marbut. News from the Capital: the story of Washington reporting. Carbondale, Southern Illinois University Press, 1971. Yale O. Millington. A List of Newspapers Published in The District of Columbia 1820-1850. The Papers of the Bibliographical Society of America, Vol. 19, No. 1/2 (1925), pp. 43-65. David T.Z. Mindich. Just the facts: how “objectivity” came to define American journalism. New York, New York University Press, 1998. Crosby S. Noyes. “Washington journalism past and present.” Evening Star, Fiftieth Anniversary Supplement. December 16, 1902. Samuel Dean Olson. The capital press in the 1824 election. M.A. University of Washington 1962. Prospectus of the National Journal, a semi-weekly newspaper to be published in the City of Washington. Washington, D.C., Davis & Force, August 1823. Publick Occurences Both Forreign And Domestick Boston, Thursday Sept. 25th, 1690. Chalmers M. Roberts. In the shadow of power: the story of the Washington Post. Cabin John, MD: Seven Locks Press, 1989. Elwyn Burns Robinson. “The Press: “President Lincoln’s Philadelphia Organ.” Pennsylvania Magazine of History and Biography, April 1941, p. 157-170. Timothy S. Robinson. “’Chalk’s Paper On the Buses’: Americana.” Washington Post, Times Herald, Feb 12, 1970, B1. Allen B. Slauson. “Curious Customs of the Past as Gleaned from Early Issues of the Newspapers in the District of Columbia.” Records of the Columbia Historical Society Vol. 9 (1906), pp. 88-125. William E. Smith. The Francis Preston Blair family in politics. New York, Macmillan, 1933. William Tindall. 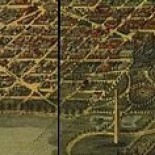 Standard History of The City of Washington, From a Study of the Original Sources. Knoxville Tenn., H.W. Crew, 1914.